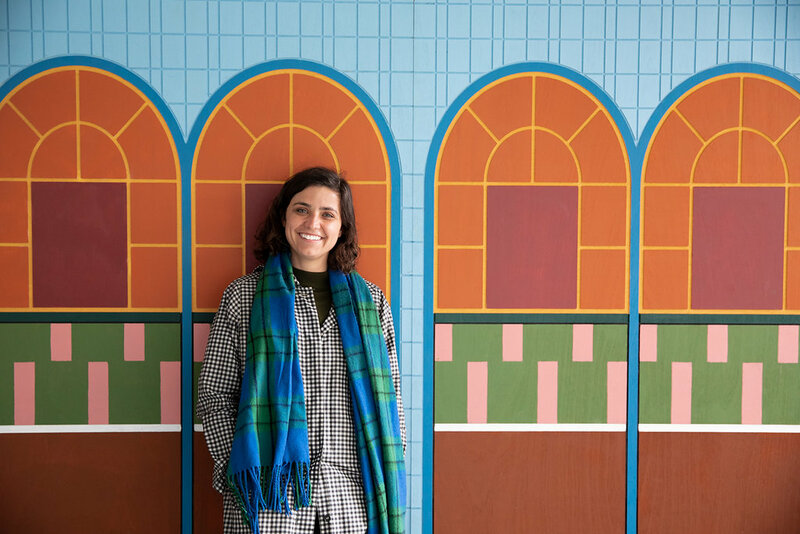 In August 2018, Melbourne artist Esther Stewart was commissioned to create a bold geometric design for pedestrian gantries located outside 390 St Kilda Road, near the Anzac Station construction site. 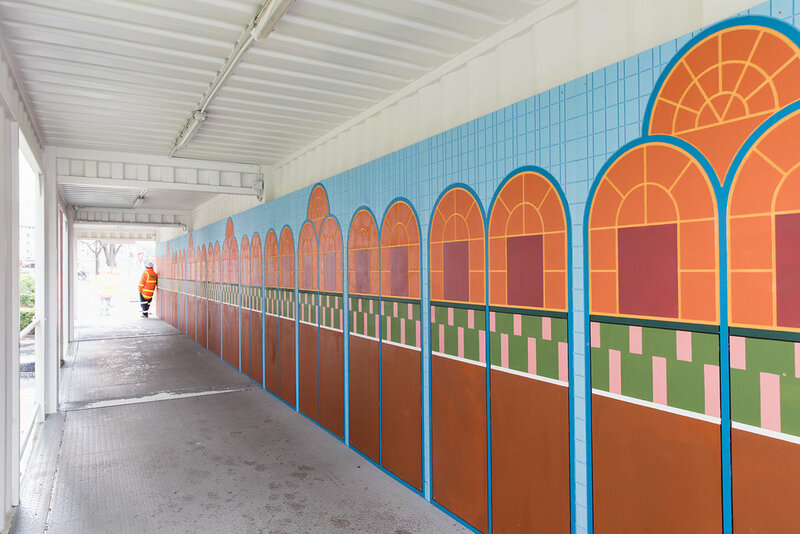 The gantries, an essential part of construction works for the new underground station, have been transformed into a vibrant work of art that reflects Stewart's interest in architecture, design and geometry. Can you tell us about the importance of texture and shape in your works? I have always enjoyed textile design, from its application in fashion to its domestic application in upholstery. I am constantly trying to incorporate that interest into my works. Do you have a favourite shape or style that you like to work with? I am really interested in 1970’s DIY and the aesthetic and colours found in those manuals. How do you research your designs? Or do you build up an internal reference of preferred shapes and compositions? I am constantly collecting, collaging, drawing patterns. I reference my own work and then continually add to the patterns and colours I am using. Can you tell us a bit about the process of making your works? I normally start by researching and reading. I have list of things I would like to explore and ideas about how I can expand past ideas. I collect images of domestic spaces and DIY projects. I also make models as a way of developing ideas and getting a sense of the scale of my works. Your works have appeared in a range of different contexts – in fashion, in galleries and now on a construction site – do you have an ultimate place or location where you would like to see an Esther Stewart artwork appear? At the moment I have been thinking a lot about sets and stages, so I would love to make a theatre set.